Louder than a rock & roll band. Reaches crowds of over 5,000. Xtreme is an AC powered sound system that delivers a powerful 123 dB of crystal clear speach projection – that’s louder than a rock & roll band! 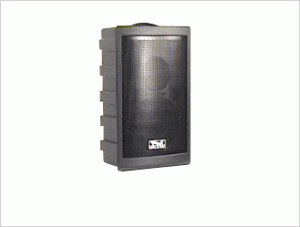 With the convenience of a built-in CD player and wireless microphone, the Xtreme is great for large indoor and outdoor events such as sporting events, press conferences, graduation ceremonies, auctions or musical productions. Clear and powerful sound, thanks to an 8-inch woofer and constant-directivity titanium dome compression driver in a ported enclosure. The sound system designed to do one thing well: everything. Handles crowds of 2,000 or more. 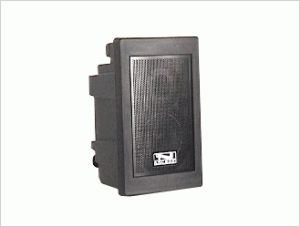 Liberty sound system is perfect for sound projection in indoor or outdoor settings and playing music during various activities. 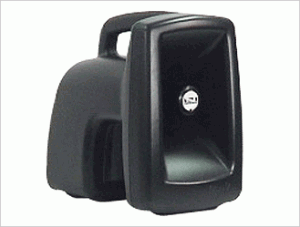 The unit delivers 117 dB of intelligible speech from one sound system designed for users with no technical knowledge. The liberty is truly versatile with true AC/DC operation and a 110/220 power supply. Options include built-in CD player and up to two UHF wireless recievers. 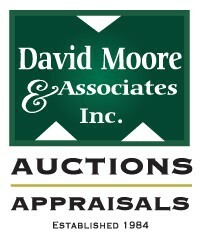 The system is ideal for auctions, schools, hotels and places of worship. The next generation Explorer Pro is perfect for sound projection in indoor or outdoor setings and playing music during various activities. The unit delivers 110 dB of intelligible speech from one sound system designed for users with no technical knowledge. The new Explorer Pro is truly versatile with true AC/DC, a 110/220 power supply and improved batter life. The system is ideal for Schools, Auctions, Corporate Trainers and palces of worship. Proving powerful and portable can walk hand in hand. Powerful amplifier and horn driver combine for 126db output. At only 15 pounds, it’s easy to carry. Runs up to 10 hours on a charge – 30 Watts. Works with a broad range of microphones. The biggest sound you can carry around. Input jack allows you to plug in a Walkman™ or CD player. Mini-Vox is our little loudmouth. 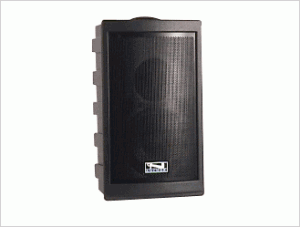 Its big sound is powerful enough to handle a crowd of up to 200. But because it’s designed to be carried while in use, we kept it light—a featherweight 3 3/4 pounds. So it’s great for tour guides, teachers or anybody who needs a PA system that’s extremely mobile. The rugged polyethylene case braves all kinds of punishment, and the entire system resists the effects of Mother Nature. 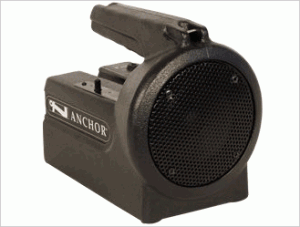 An input jack allows you to plug in a CD player or Walkman™. With the optional built-in wireless receiver, Mini-Vox becomes one of the lowest-priced wireless sound systems on the market. Set the sound unit down and roam freely up to 200 feet away. Mini-Vox runs for 25-35 hours on a set of size C alkaline batteries; if your Mini-Vox will get daily use, check out the optional rechargeable battery kit. Mini-Vox comes in black, yellow, blue or red, with mic and shoulder strap included.